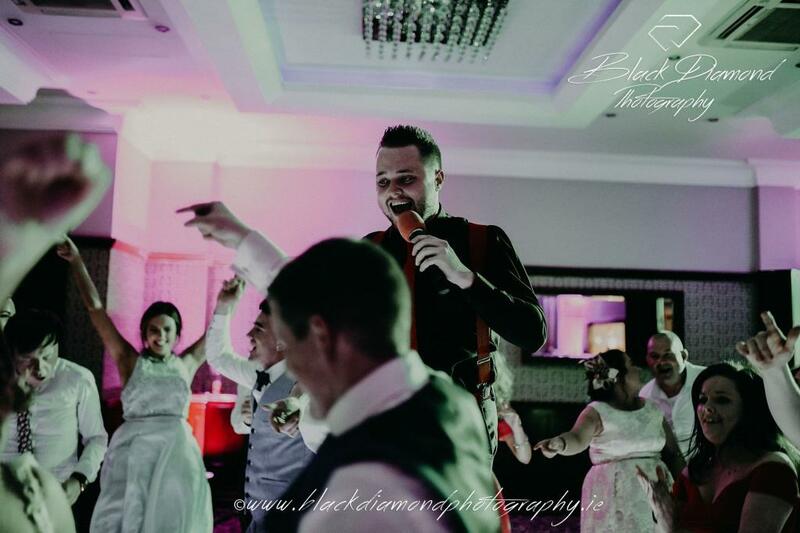 Limerick Wedding DJ – Paudie Walsh is a multi award winning wedding DJ and is one of Ireland’s most popular wedding suppliers. He has won WeddingsOnline Wedding DJ of the Year in 2017 and 2018. 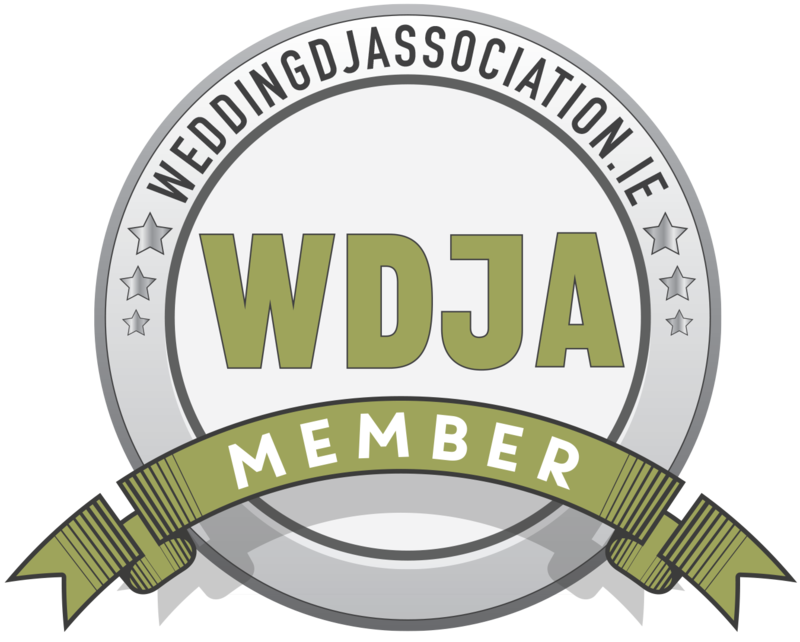 Local wedding awards – Bride’s of Limerick Wedding DJ of the Year 2017 and 2015. As well as Overall Wedding Entertainment in 2016 at the awards. He has also been a finalist in many other awards. He is based in Limerick but travels to weddings throughout Ireland, having played in some of Ireland’s most popular wedding venues. In fact, he is a recommended DJ by many hotels in Limerick, Cork, Kerry and Clare. Another testament to the great work he does for couples on their wedding night. 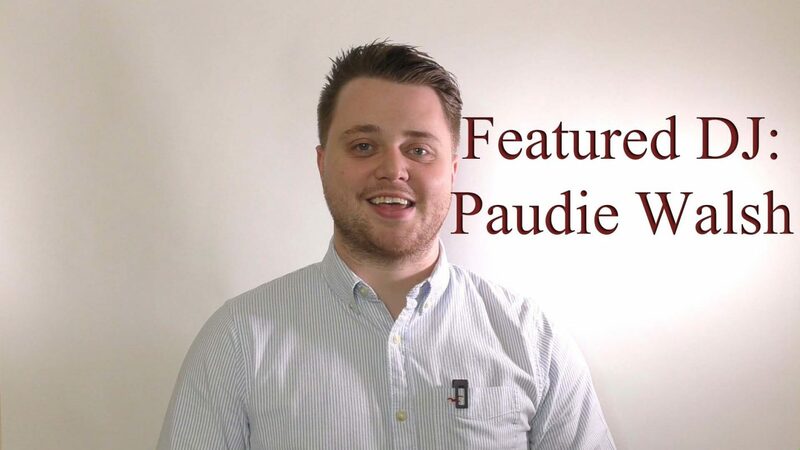 What sets Paudie apart from many other DJs is his MC skills and ability on the microphone. Specialising in weddings he regularly plays for full day and full evening weddings where he is the only source of entertainment. His natural talk on the microphone really connects with people and adds to the flow of the evening. Making it more fun and enjoyable for wedding guests. People often mistake a DJ as someone who stands in the corner and plays songs one after the other. It is true, “let the music do the talking”, but crowd interaction ensures the “bored” feeling is thrown right out the window!! Never “over the top” and level of interaction is always discussed beforehand. For more information on Wedding DJs in Limerick be sure to visit Paudie’s website. 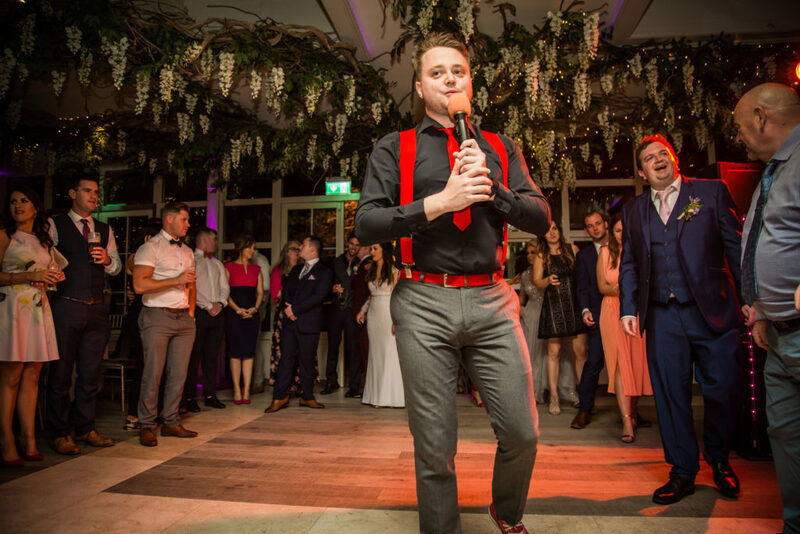 Allow Paudie to take care of your full day’s music and ensure your guests are entertained from the moment they arrive to your wedding venue. He will play music for your drinks reception while your guests mingle and chat before moving to the function room. All the music and style can be discussed prior the date to ensure the correct mood and vibe is achieved for your drinks reception/cocktail hour. Once moved into the function room, he will be your MC for the evening. Making your grand entrance announcement (all personalised) and other spotlight moments throughout the evening. He will make a soundtrack for your meal again to match the mood you want to create. You will have full use of his professional microphone and PA for your speeches. This is ideal for venues who may not have their own. Cake cutting is also taken care of for you. Make it the most fun cake cutting ever! See more information Wedding DJ Packages. Once your meal is finished, it’s dancing time! Paudie will arrange your first dance. This is one of most important spotlight moments of the night. Paudie Will MC the whole thing and ensure you have all of your family and friend’s there to see it. Not a great dancer? No problem. Paudie will arrange to have your bridal party join you on the dance floor. Throughout the night Paudie can MC other formalities such as bouquet toss, garter etc or any other traditions you would like to include on the night. When you book a full day wedding DJ package with Paudie it includes a full consultation either over the phone, in person (Limerick) or Skype. Paudie has a lot of overseas wedding couples and he is happy to accommodate them where needed. When it comes to a Full Night Wedding DJ my aim is to create a fun and energetic night for you and your guests. From the interaction at your first dance, right through to the end of the evening it will be one of the most enjoyable wedding your guests will ever be at. My main difference over other entertainment options is that I have an infinite repertoire of songs. I am not bound by a setlist of songs and I can really change the music to suit a full dance floor. As well as that, we can chat about music prior the date and that mixed with my experience we will be able to give the guests exactly what music they want to hear. The music on the night is fully inclusive for everyone. I will play a range of music to suit you and old, ensuring no guest is left behind. As well as that, the music is personal and unique to you. No two weddings will ever be the same and I want to match the music with your personality and style. I will read the dance floor and ensure the music flows throughout the evening. Even during breaks I will include background music so the night is completely seamless. When it comes to Wedding DJs in Limerick Paudie’s musical knowledge is second to none. See some Wedding DJ Playlist ideas here. Another source for song suggestions is the WeddingsOnline blogs. Finally as well as experience and music knowledge you get a full time wedding DJ who is always available by phone or email to answer any questions you may have. I can liaise with venues where needed to offer you peace of mind every last detail is taken care of. There is no waiting and I am fully contactable throughout the whole process. If you have any questions never hesitate to ask. For more information visit Paudie’s Full Night Wedding DJ web page. My After Band Wedding DJ Set is the best way to finish off your wedding night. If you are looking for a Limerick Wedding DJ to finish your wedding night. This is him It is the best wedding party in Ireland! Honest! It is a 2 hour party set from the time the band finish up to the end of the night. A slight difference is that I will actually setup at the start of the evening with the band. It was something I started doing a few years ago and looking back at Wedding DJ Reviews, it was something that was mentioned often. It means I am there from the start of the evening allowing for no disruption bringing in more equipment later on. I have the opportunity to watch the band play, see what is working and not working to judge my set for later. Also it means that as soon as the band are finished, I start. There is a seamless transition from band to DJ. As well as that the flow and atmosphere of the evening is not lost. People won’t even know the band have finished. The music is fully inclusive and I play a mix of music to suit all ages. No one is left behind. I usually play to a time between 2 and 2.30am. All of which is discussed prior the date. Finally all the necessary equipment is provided and I will liaise with band/venue to ensure there is no added stress on your night.